When Fouz and Noufa Al-Sabah started blogging as students at the American University of Kuwait, they probably didn’t expect that they would establish a publication that has a wide readership outside of the country. “Noufa and I wanted to work on a project after graduation that highlights inspiring people, places and stories in Kuwait,” Fouz says, but they soon wanted to take things up a notch and look at other countries in the GCC. Keep in mind that this was back in 2009, before the proliferation of social media platforms. Developing Khaleejesque proved to be a huge learning experience for Fouz and Noufa for many different reasons. 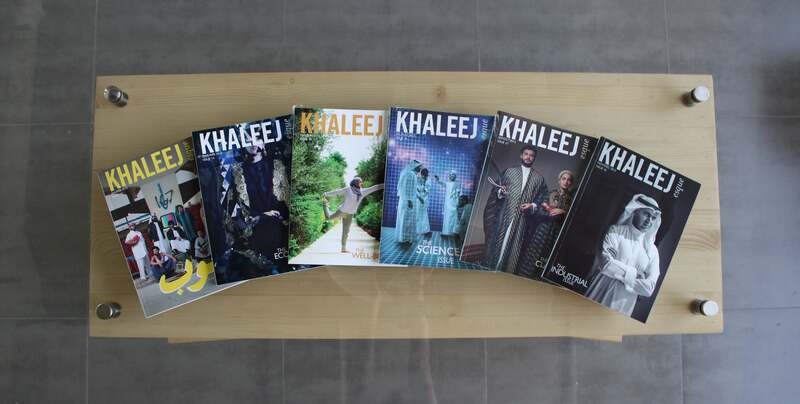 They first spent a three-month period starting in March 2009 where they gathered “like-minded members and writers from across the Arab Gulf,” before launching khaleejesque.com on June 1 later that year. Then came a curveball: Fouz temporarily moving to London to earn her Masters in Cultural Creative Industries at King’s College. They managed however to overcome the obstacles they had, and they now have a team of seven in their Kuwait headquarters, as well as a “freelance network of over 70 writers” and others from across the GCC. A quality team definitely pays off, and Fouz justifies that with the positive feedback that they’ve received, even after they took a huge leap into becoming a larger media group. They were able to keep many loyal readers who she says have been with the publication from the start, and they have “also been seeing an increasing interest from international readers.” Her main takeaway from all this? “More representation is needed to show a glimpse of life in the Arab Gulf.” At this point in time, their largest readership comes from their native Kuwait, followed by the UAE and KSA. You’d think that with that kind of user interaction and readership, marketing wouldn’t be as important. Wrong. Even though Khaleejesque as a print magazine is a “marketing channel” itself, the team supplements it with other tools. Along with a dynamic website, they also use their online newsletter to keep readers informed of what’s happening under the Khaleejesque brand banner. Social media is also very important. Fouz is always keeping tabs with which platforms are trending. “Most recently, Snapchat has been a hot spot, and despite Instagram usage declining regionally, our following has grown by more than 15% in less than a year.” There are also some other components in the Khaleejesque marketing strategy, including partnering up with events in Kuwait and the GCC, as well as “sending complimentary print issues to a VIP list, embassies and hotels.” You can find some of their issues at the VIP lounges in Qatar’s Hamad International Airport and at Dubai’s International Airport. They’ve also partnered up with Kuwait Airways, where you can find their latest issue on all their flights. Fouz Al-Sabah describes herself as a “curious observer who is a fascinated by creativity and innovation in all its forms.” That definitely applies to how she has approached Khaleejesque from day one. A notable example of this under the Khaleejesque brand is their subscription boxes called the il.box. Fouz explains that she was inspired by the “subscription box trend” that many American publications were trying, and decided to have a go at that herself. Of course, it had a local twist to it. “We make sure to feature a collection of exciting regional businesses as well as exclusive collaborations, limited edition pieces and innovative Khaleeji-inspired products.” It’s a luxury service, so some readers have voiced complaints about how expensive it is. There are also challenges with “locating vendors, production constraints, and shipping issues.” However, the Khaleejesque team still sees the potential in the il.box, and is confident that more and more readers will find it to be a worthy investment. The folks at Khaleejesque will be tackling m-commerce next, but in addition to that, the team is also working on adding Arabic content to their enterprise. Not only does that give tribute to the GCC’s native language, but it will certainly also expand their readership across the region. They’re also working hard on their webstore; Fouz promises to bring in a “more interactive online marketplace” in early 2016. The co-founder also told us to keep our eyes peeled for a sister venture called the Crowd Creative House, which she describes as “an independent content agency.” Long-term? “Long-term plans included our own product line, video channel, and many other surprises.” As I said before, keep your eyes peeled.